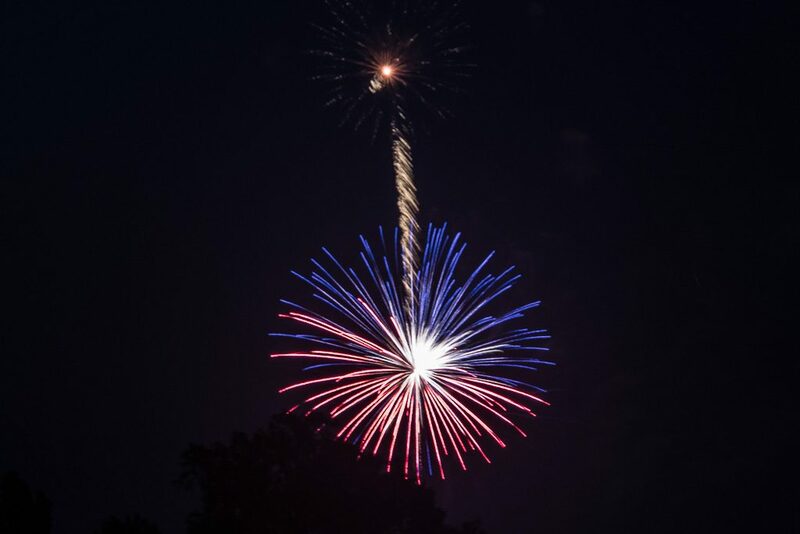 Lewisburg’s Fireworks and how to shoot fireworks. 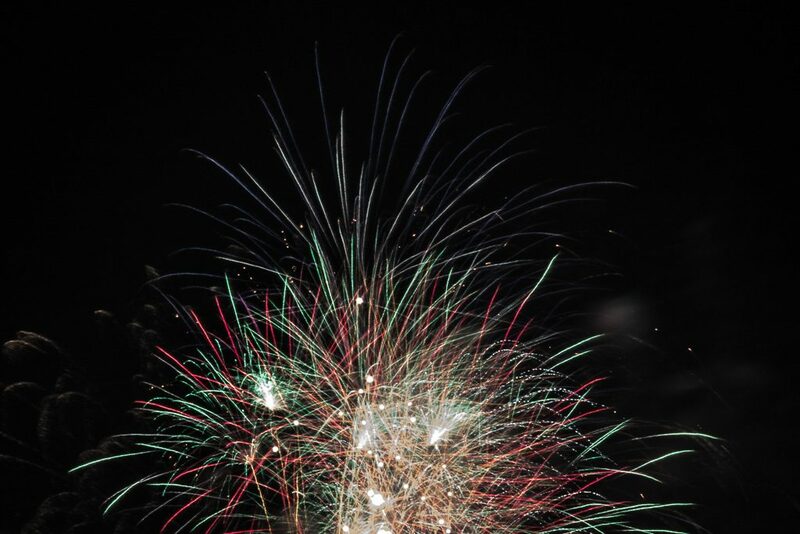 We hope you had a chance to watch/shoot Lewisburg’s fireworks display last night. 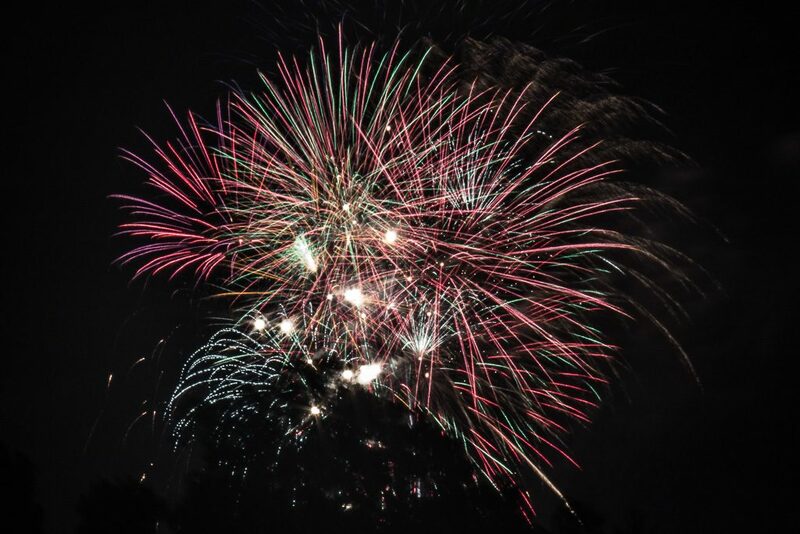 If you missed it, there are still plenty of fireworks shows in the region in the next few days. 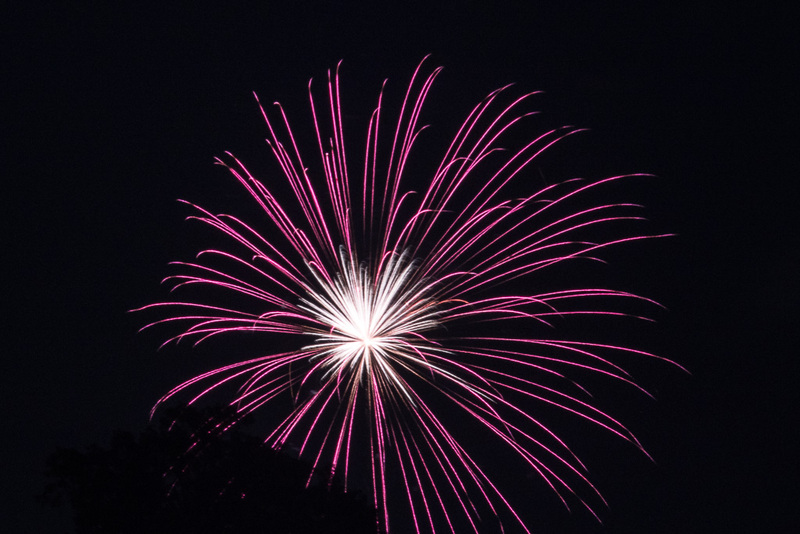 Grab your camera and try to capture some fireworks! 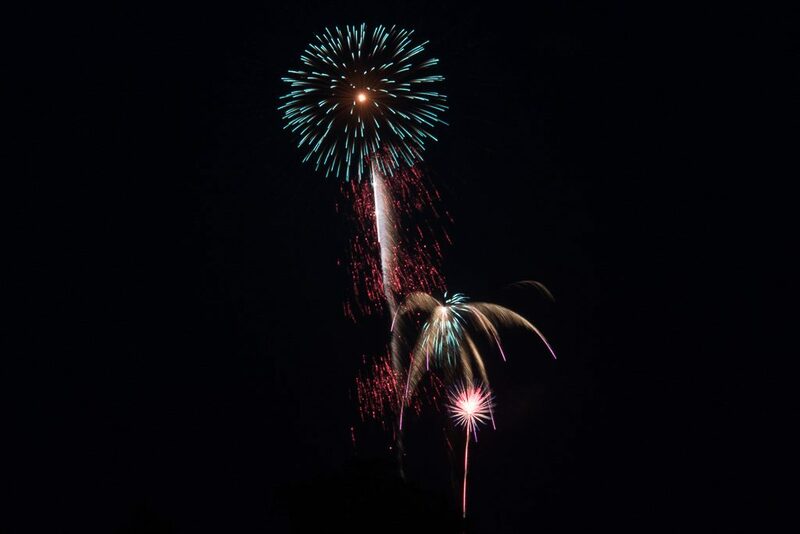 Here is how I like to shoot fireworks. First I use a sturdy tripod as I like to expose for 4 seconds. 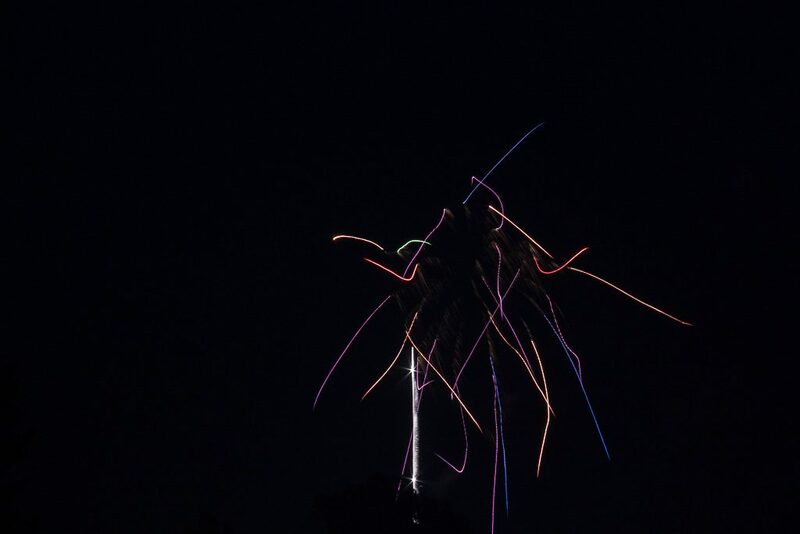 The longish exposure of 4 seconds captures the longer streaks as the bomb explodes. I use a cable release so I can start the exposure just when I detect a firework is starting, usually by the rocket’s ascending streak. 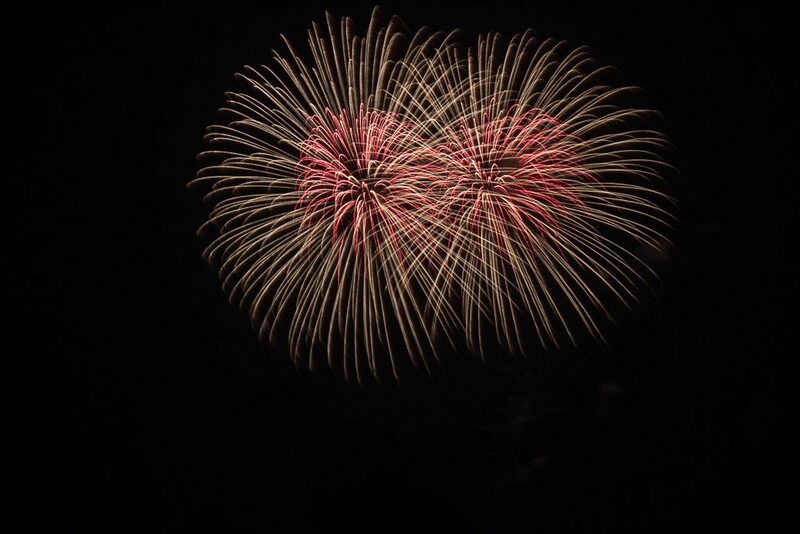 Since it is easy to overexpose fireworks, I set my Camera 80D on the Manual setting, with an ISO of 100 and aperture of f-22. That usually produces nice colors on a black sky. You may have to adjust the aperture and/or shutter speed depending on your camera and how close you are to the action. I used my “walk-around” Canon 18-200mm zoom lens. It’s important to set the lens to manual focus. I set the focus manually on a distant object before the show when there is more light and then don’t touch the focus ring! If you are like me and are prone to accidentally hit the focus ring in the dark, use a piece of artist tape to keep the focus ring in place. The artist tape will not leave any glue residue on your lens when you remove it. You can buy it at Brushstrokes. Since one is on a tripod, it’s best to turn off image stabilization. Here are several shots of last night’s show.